Many people who are addicted to alcohol or drugs will require treatment in a residential setting where there is access to 24-hour medical care, supervised detox and a daily routine of individual counselling and group therapy sessions. Find out more about making a referral. Live in a community where they cannot escape unhealthy influences. GPs wishing to make a referral to our hospital for a private patient can do so immediately by writing a letter of referral and contacting our admissions team. 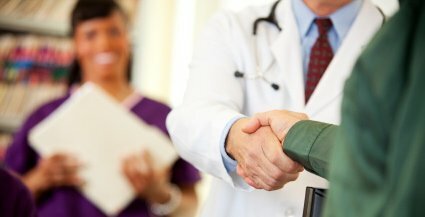 Castle Craig accepts insurance funded and private paying patients from around the world. Referrals may be self-referrals, from family, employers, from the medical & counselling professions and substance misuse agencies. We are committed to working with third party referrers – doctors, clinics, psychologists and other referring practitioners. This web page provides the necessary information to promote someone’s successful (and quick) admission to Castle Craig. Overall responsibility for admissions lies with the admitting doctor or medical director and the consultant psychiatrist. The first point of contact will most likely be our admissions staff members – Jillian Johnstone or Alison McDougall. Jillian or Alison will liaise with the referrer to gather all relevant information on behalf of the consultant. We will normally request a letter from the patient’s doctor with relevant medical information. Our consultant may then wish to speak with any treating professionals or with the patient, and we may request further information depending on the complexity of the case. When determining suitability for admission we will consider the current medical condition of the patient, the patient’s detoxification needs, their chemical use history and psychiatric history. After referral our doctors conduct a pre-admission assessment to ascertain the patient’s suitability for treatment. We will continue to liaise with you during this process. Before the patient arrives for treatment we will send them a DVD and admission information pack with details of the treatment programme and what to expect when they arrive. Once the patient is admitted to treatment we will continue to liaise with you regarding the patient’s progress and discharge/continuing care recommendations by our Consultant. Admissions will generally occur between 9am and 3pm on a working day. Monday to Thursday are preferred admission days, although we can start to arrange an admission at any time. Following discharge patients will be referred back into the care of their family doctor and any referring clinician. All patients prepare a continuing care plan as part of their discharge and Castle Craig provides a range of continuing care services depending on a patient’s needs and location. An advance payment of two weeks is required for each patient and invoices are subsequently issued fortnightly. Please contact us for an up-to-date price list. Castle Craig is a registered hospital, and most insurers will fund treatment with us, unless they offer policies which exclude treatment for mental health problems. Insurers who fund treatment at Castle Craig include: BUPA, CIGNA, Blue Cross Blue Shield, Coventry Health Care, AXA PPP, WPA, Aetna and others. We will always endeavour to assist with applications for funding from a client’s insurance company. Please contact us for further information. Contact our Admissions Staff, Jillian Johnstone and Alison McDougall. They will answer any questions you have about our treatment programme and the referral process. In case of urgent need, please call the hospital switchboard and ask to speak to a hospital director.